When Starbucks releases a new drink, people lose their minds like victims in a zombie movie. So when they released a secret Halloween-themed drink earlier this week, we had to see what it was like. Here's our report. 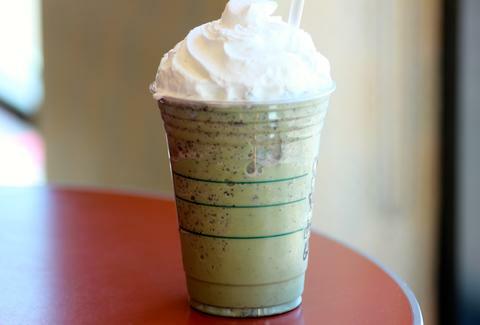 If you read our article on the drink earlier, you know the Franken Frappuccino is a Green Tea Frapp with added white mocha, peppermint, and java chips (my barista said these are basically chocolate chips). While this doesn't sound particularly Halloween-like to me, especially since it lacks pumpkin spice, it still sounds damn good. So how did mocha, peppermint, green tea, milk, and a three-story dollop of whipped cream taste together? Delicious. Peppermint is the dominant flavor here, and it reminded me of a mint chocolate chip milkshake more than anything else. The secret weapon in this drink is the mocha flavor. It sneaks up on you, like a ninja... who made you a Frappuccino and then put a hint of mocha in it. 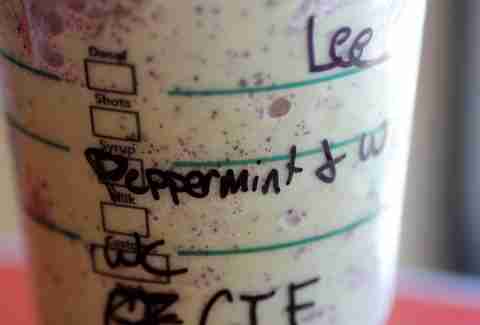 This is what separates it from a run of the mill Green Tea Frapp with some peppermint in it. Not sure what any of this has to do with Frankenstein or Halloween, but that's fine. Starbucks does not have to deliver on their promise of a holiday-themed drink: they just need to have free Wi-Fi, CDs I can buy my Mom for her birthday, and drinks loaded up with caffeine and sugar. It'd be a little weird to take a break in the middle of your work day to hit up Ben & Jerry's for a milkshake, but there's no shame in going to Starbucks. No one will judge you for taking a "coffee break". And if you go after 2pm today, this Frapp in a grande cup is just $3. Absolutely worth it. While the taste doesn't exactly say "Halloween", it's the most appropriate day of the year to get a sugar rush. 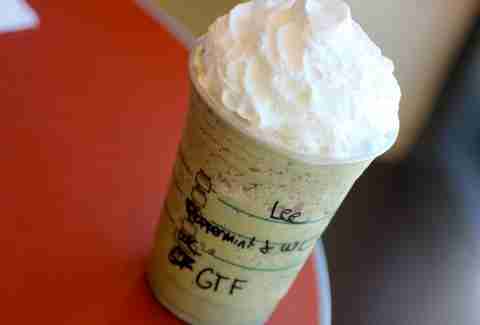 Lee Breslouer writes about food and drink for Thrillist, and loves him a good Frapp. Follow him to even more drink reviews at @LeeBreslouer.